Graphic design, photography and image restoration in Toronto: The long awaited Sigma SD15 is finally announced. Again. 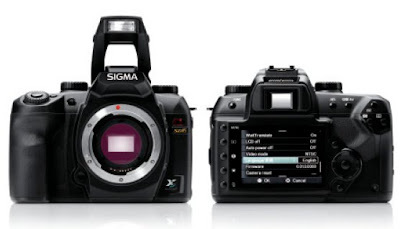 The long awaited Sigma SD15 is finally announced. Again. On paper it looks like a decent upgrade, most of the critical flaws of SD14 fixed, or at least there is some improvement. The camera buffer was increased to 21 RAW files, maximum ISO to 3200 (which probably means usable ISO 800), thew new LCD is 3" and 460K dots (just like my favourite Canon G10!). SD15 shares the same TRUE II image processing engine with DP2 which means better white balance. Everything else is about the same: it still has 4.6 megapixel sensor that is equivalent... not to 14, of course, but about 10 megapixel* of traditional Bayer sensor. Nothing really exciting and tempting, which is GOOD news. I am not planning to buy any photo gear in the foreseeable future and can patiently wait for prices to drop. Hope it will not take another year before SD15 hits the shelves. Sigma also announced several new lenses, mostly stabilized versions of existing ones, but there is a unique one with crazy focal length of 8-16 mm! It is the widest rectilinear lens ever made for APS-C cameras. Looks really cool, but I am afraid the price will be prohibitive for amateurs. I think my next lens will be 17-70 OS. *I mean equivalent in resolution only. Besides resolution, Sigma photos have some unique quality, so called Foveon Look™ that no other digital camera nor good old film can match.